We have had our MoneyTrail website and app for several years now. It is definitely a family business and our four kids have been our biggest quality control testers. Our three oldest children use their accounts independently, either with a computer, tablet or iPod Touch. 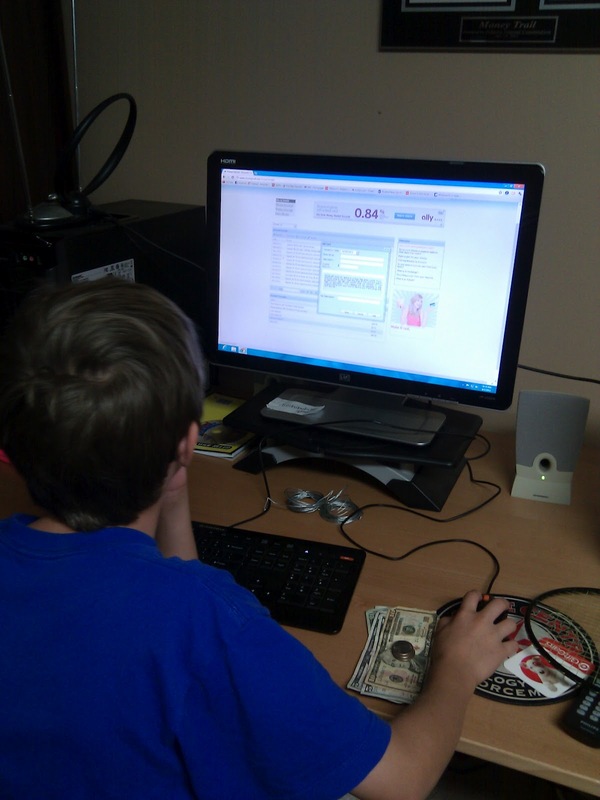 Our youngest child (nine years old) has been able to log in and check his balances independently for awhile now. However, Frank and I usually help him enter transactions. Today marks a new era in the Whitlock home. My nine year old wanted to enter his birthday money and gift cards into his MoneyTrail account. I sat down to help him and heard the words, "Mama, I can do it myself." And...he did. He sat right down at the computer, logged in to his account, entered his deposits and checked his balances. It's kind of nice to see a nine year old independently keep track of his money. I had to start really early to get my daughter to love veggies. I'll make a deal with you. We'll work on your son eating his veggies if you'll work with my daughter on the saving/tracking spending and balances. She loves veggies. Deal! Although you may have the harder end of the deal. When the pediatrician asked him what vegetables he eats, his response was "pickles". Great skill at a very young age. Although my daughter doesn't have any idea about her own budget yet, she is conscious about family finances. She worries when the number of grocery bags are excessive during shopping. That's awesome! Way to be financially independent (sort of) at a young age!